In this episode of The Missouri Review’s Soundbooth Podcast, the Audio Team sits down with the magazine’s Managing Editor, Marc McKee. Marc (Ph.D., University of Missouri-Columbia) worked at The Missouri Review from 2007 to 2010 and returned in 2018 as Managing Editor, after stints as a visiting assistant professor of English and Creative Writing at the University of Central Missouri, and then as an assistant teaching professor and later associate teaching professor at the University of Missouri. He holds an MFA from the University of Houston and a Ph.D. from the University of Missouri-Columbia. He is the author of five collections of poetry: What Apocalypse?, winner of the 2008 New Michigan Press / DIAGRAM Chapbook Contest, Fuse (Black Lawrence Press, 2011), Bewilderness (Black Lawrence Press, 2014), Consolationeer (Black Lawrence Press, 2017), and Meta Meta Make-Belief, forthcoming from Black Lawrence Press in 2019. His poetry appears or is forthcoming widely in online and print journals such as American Poetry Review, Bennington Review, Conduit, Copper Nickel, Crazyhorse, DIAGRAM, Forklift, Ohio, Inter|rupture, The Laurel Review, Los Angeles Review, Memorious, Sixth Finch, and in the Academy of American Poetry’s Poem-a-Day series and Verse Daily. 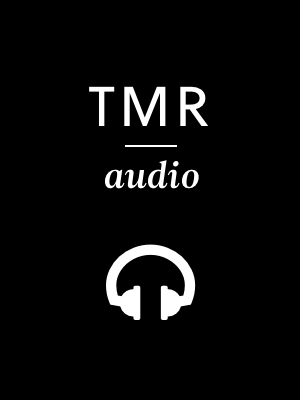 Listen to Marc and the team chat about TMR’s unique approach to poetry features, the role of the literary magazine in the local arts community, and how he manages teaching, writing, fatherhood, and his role as editor. Interview conducted by Audio Editors Traci Cox and Jacob Hall, and Audio Interns Bennett Jacobs and Brady Kateman. Interview co-edited by Jacob Hall and Office Assistant Emily Standlee.